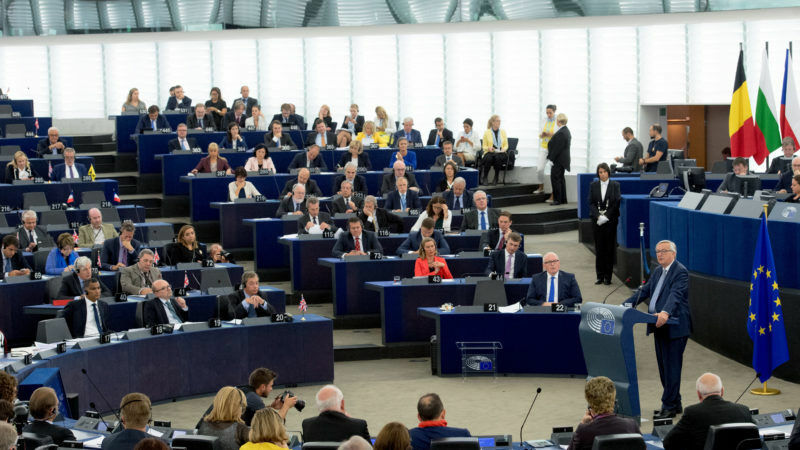 On Wednesday morning (12 September), Jean-Claude Juncker delivered his final State of the Union address to this European Parliament. 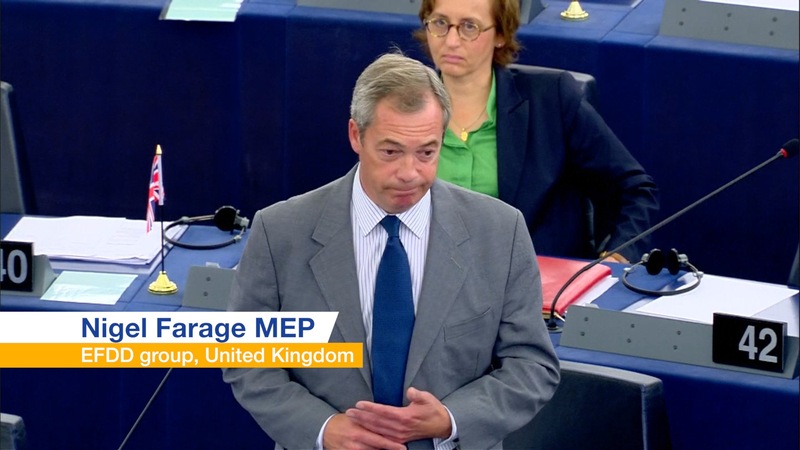 Check EURACTIV's coverage on how the speech went down and how everyone is reacting to it. This EU Tweets of the Week is a State of the Union special. 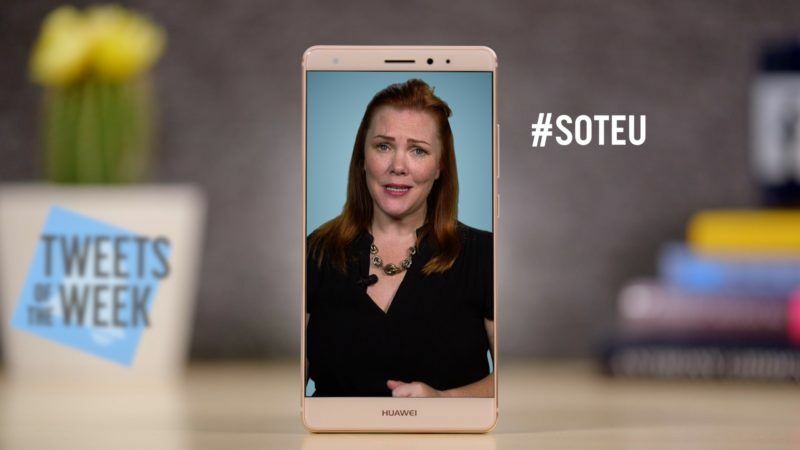 We’ve got the hails and fails, wails and… sails? 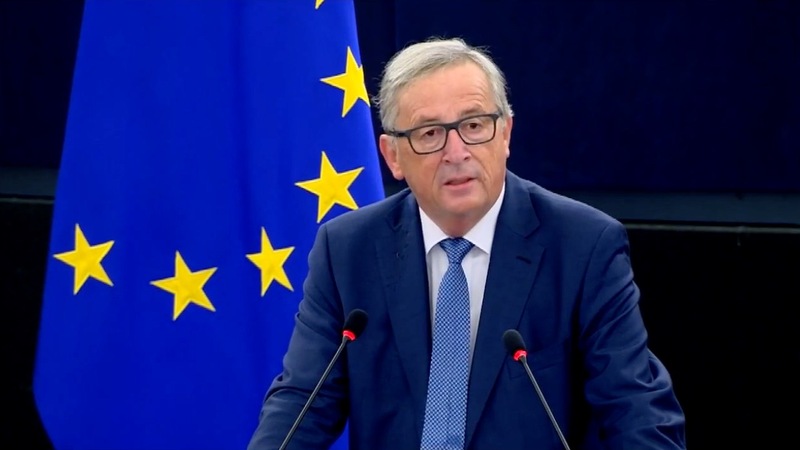 European Commission President Jean-Claude Juncker gave his annual State of the European Union address at the European Parliament on Wednesday 13 September. 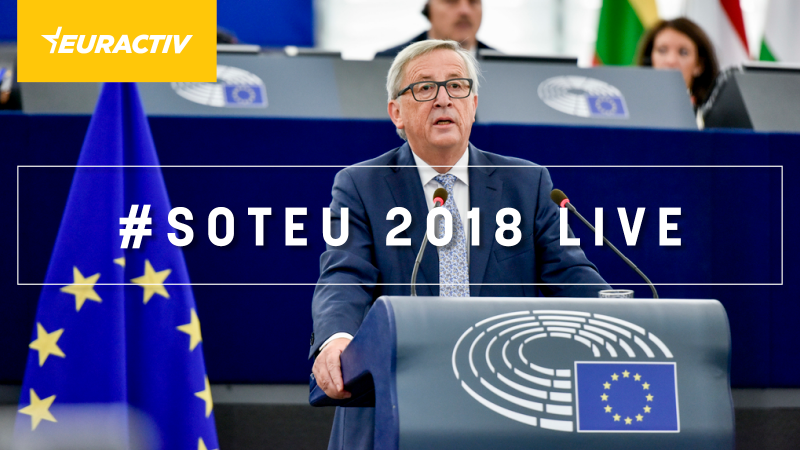 EURACTIV.com brings you coverage, analysis and background from the European Parliament in Strasbourg. 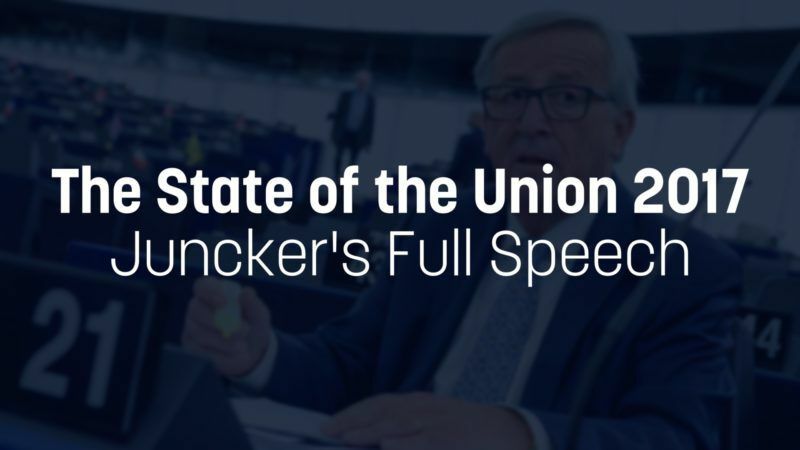 European Commission President Jean-Claude Juncker’s annual State of the Union speech covered what the EU achieved last year and where the bloc is heading. 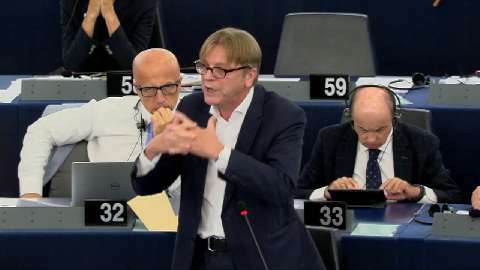 The European Parliament's Brexit point man Guy Verhofstadt today (14 September) clashed with UKIP leader Nigel Farage at the debate after Commission President Jean-Claude Juncker's State of the Union speech. European Commission President Jean-Claude Juncker gave his annual "State of the European Union" address in the European Parliament at 9.00am in Strasbourg this morning (14 Wednesday). Watch the full video here. On Wednesday (9 September), MEPs held a heated debate on how to tackle the refugee crisis in Europe after European Commission President Jean-Claude Juncker delivered his first ever State of the Union Speech in Strasbourg.